Dr. Montoya received his medical degree at the Universidad Del Notre in Barranquilla, Colombia and completed his residency at Presence Saint Mary and Elizabeth Medical Center in Chicago, Illinois. Board certified in family medicine, Dr. Montoya treats patients from 6 years to adults. Fluent in Spanish, he sees patients for acute illnesses, management of chronic diseases, immunizations, PAP smear and annual child and adult physicals. His clinical interests include diabetes, hypertension, COPD and obesity. 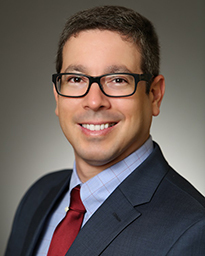 Compassionate, Dr. Montoya considers himself a close friend, a confidant, and a health advisor to his patients. “My relationship with the patient and their family is based on trust, reliability and care. I want my patients to feel confident about the steps they take in achieving a healthy lifestyle and know I will be there every step of the way,” said Dr. Montoya. One of the most rewarding parts of practicing medicine for Dr. Montoya is helping patients resolve their medical conditions and making a positive difference in their life. In his spare time, Dr. Montoya enjoys playing soccer and racquetball, listening to music, and experiencing new cuisines. Juan Montoya, M.D., practices at Memorial Hermann Medical Group Southwest.